One of the first acts of the new President relating to environmental regulation was to reverse course on the hot button topic of coverage under the Clean Water Act. In 2015, the U.S. Environmental Protection Agency and the U.S. Army Corps of Engineers (“the agencies”) proposed the controversial “waters of the United States” or “WOTUS” rule. The purpose of the rule was to change the definition of WOTUS which is the term that describes water bodies under the scope of the federal Clean Water Act. At the time, the agencies stated that the proposed change was meant to clarify longstanding confusion over coverage of the Act. However, many groups commented that the rule as proposed had the effect of greatly expanding the reach of the federal law and the need for permits. The agencies received and responded to over one million comments during the public notice period and then issued a final rule in August 2015. The rule was immediately challenged by numerous groups in federal courts around the country and, in October 2015, the Sixth Circuit Court of Appeals stayed the rule nationwide pending outcome of the litigation. Since that time, the litigation has proceeded and the WOTUS rule has not been implemented. Shortly after taking office, President Trump signed an Executive Order dealing with the WOTUS rule. On February 28, 2017 the President signed an Executive Order (E.O.) entitled “Restoring the Rule of Law, Federalism, and Economic Growth by Reviewing the “Waters of the United States’ Rule”, which directed the agencies to rescind or revise the WOTUS rule. In response, the agencies began a two step process to first repeal the WOTUS rule and then propose a replacement. The first step began with publication in the Federal Register of the intent to repeal WOTUS and public comments are being accepted on that proposal through September 27, 2017. Details on these meetings and webinars are available on EPA’s website. The impact of this rule is very significant to many business sectors because any water body that falls under the jurisdiction of the Clean Water Act may require a permit or other restrictions before the water body is modified or otherwise impacted. The new EPA Administration has given every indication that it will closely review suggestions on how to craft a new definition so comments and direction to the agencies will be critical. Koley Jessen will monitor development of the new rule and provide updates as appropriate. 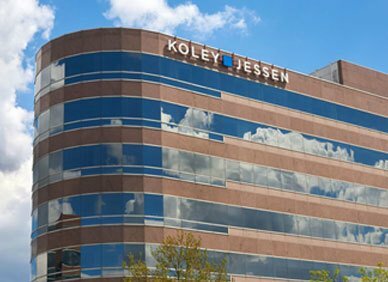 Any questions on the process or initial indications of the content of the new rule can be directed to the Environmental Team at Koley Jessen.